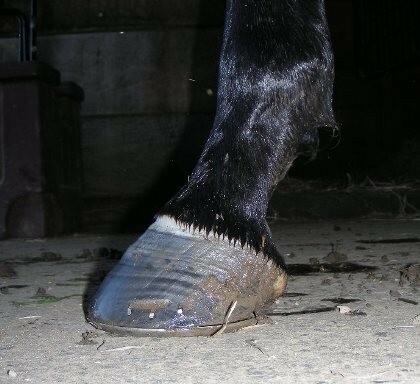 This is a fascinating, rarely seen view of the shoe and nails penetrating the hoof. It is remarkable how close the nail is to the edge of the coffin bone. Click on the image for a larger view. The transition from shod to barefoot almost always results in the white line growing in more tightly as a result of the absence of leverage of the wall away from the coffin bone due to the presence of the shoe. While the shod part of the wall is growing down, there is a ‘ridge’ visible where the white line has started to grow in more tightly. The hoof has been barefoot for the duration of approximately four weeks. The hoof has been bare for about 4 months. The ridge that demarcates the place where the shoe was removed is approximately 2/3 down the wall. The growth above this line appears ‘closer’ to the bone because of the ‘tightening up’ of the white line. Notice also the improvement in the underrun heel which is now taller with a straighter angle. There are approximately 300 different horse breeds and an estimated 6.9 million horses in the United States alone. Horses are used for everything from racing to simple trail rides. Their environments range from the black asphalt and concrete of large cities to the rugged mountain trails of Montana. 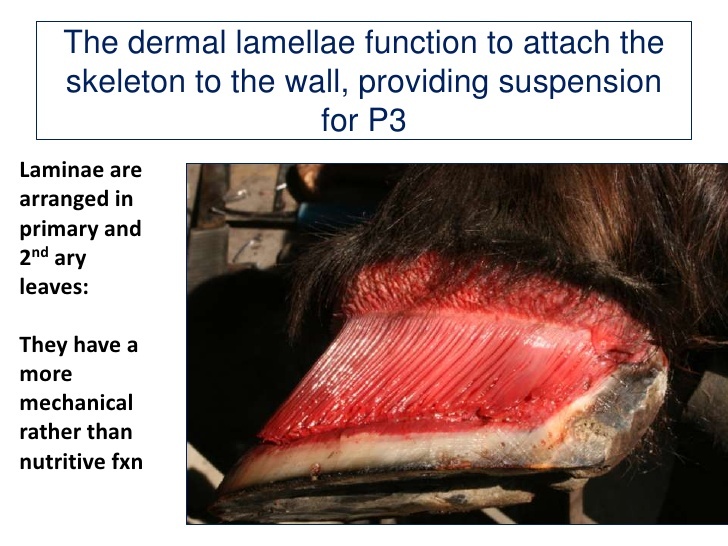 My point is that there are thousands upon thousands of different uses and environments for horses, but some people advocate that there is only one approach to hoof care. On one side, natural hoof care advocates state that there is absolutely no use for shoeing a horse. 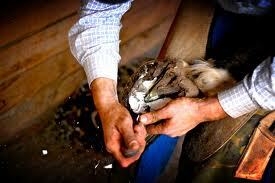 A select few might go as far as saying that shoeing a horse is abuse. On the other side, others zealously argue that natural hoof care is nothing more than a scam. The passionate debate between natural hoof care advocates and traditional farriers often drives a wedge between the two sides and makes it difficult to accept the merits on both sides. 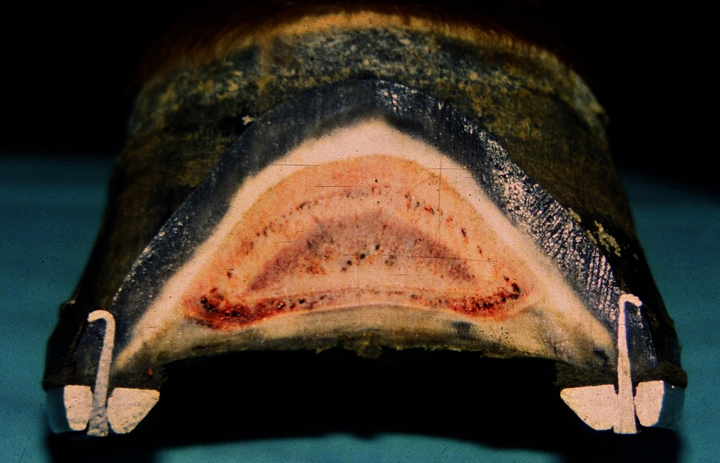 Traditionally, the majority of farriers have been opposed to natural hoof care. 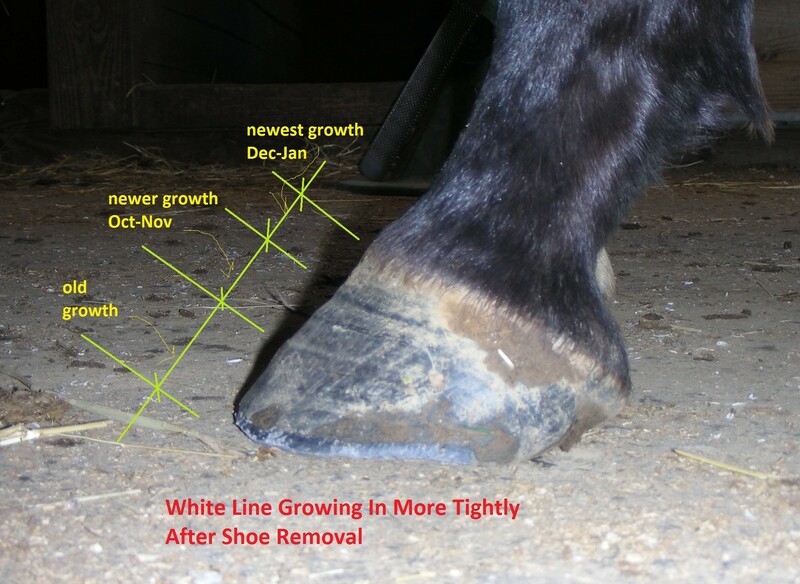 There are several reasons for the opposition that can range from a simple resistance to change all the way to the misconception that natural hoof care takes money out of the farrier’s wallet. The opposition is often further ingrained when the very skills of a farrier are attacked. For example, Jaime Jackson, a noted expert on natural hoof care states, “The equine species is genuinely adapted to go barefoot. It is only through human ignorance of the horse’s natural state that led us to the incorrect, and harmful, conclusion that shoes are necessary — or useful. 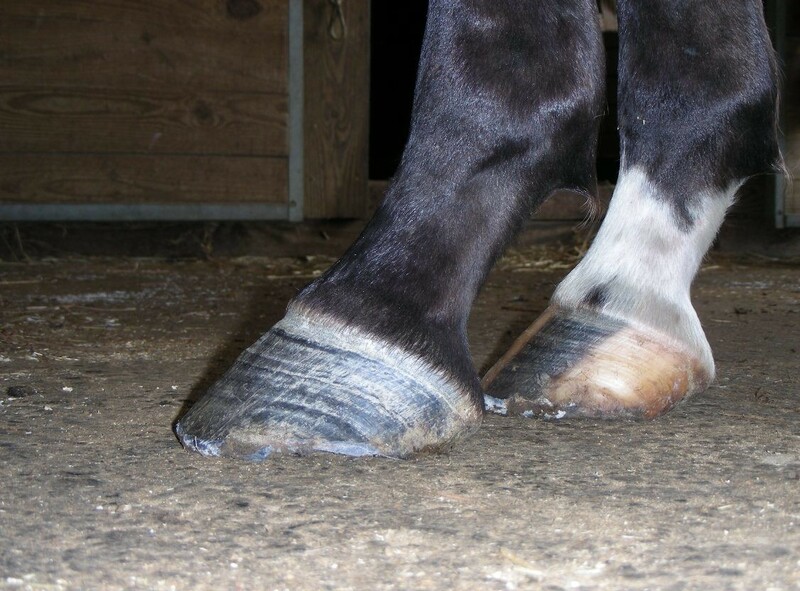 They aren’t, and, moreover, contribute significantly to the lameness we see everywhere around the world.” For the farrier’s point of view, this can be a harsh statement. It directly attacks the years of training, experience, and hard work required to become a professional farrier. protection, absorption, diffusion as well as excretion of waste products. 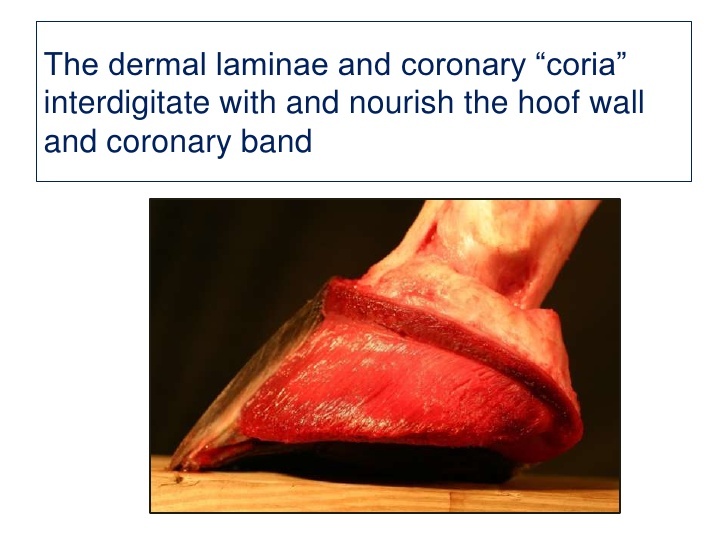 In the case of the hoof this ‘waste’ is horn (protein). ”Insulin Resistance” is a trendy diagnosis made by lay people with regards to their own horses, based on information they glean from the internet. It is suspected as a cause in laminitis and founder, and horses are removed from most or all pasture, depriving them of their natural grazing needs in an attempt to remove sugars from the diet. 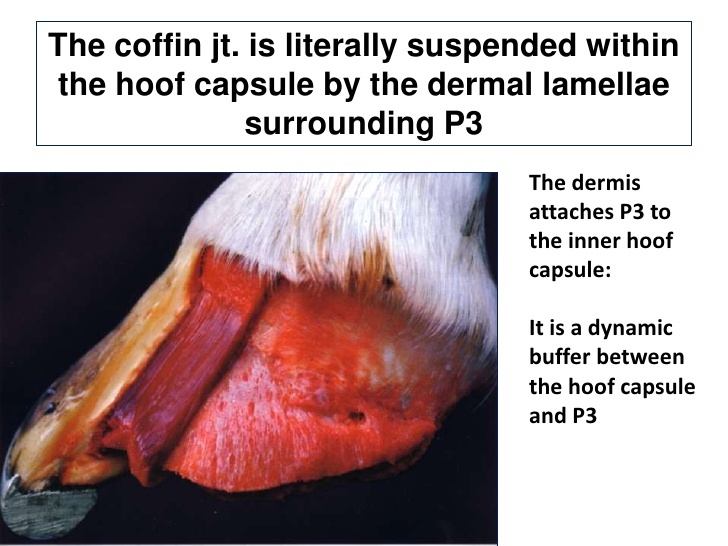 I believe it is possible that this actually can cause the horse to experience even more stress and thus puts in motion a vicious cycle.Below are some excerpts from an article in The Horse, in which Tia Nelson DVM, discusses her experience in reducing signs of insulin resistance (such as cresty necks) in some horses, simply by improving their hoof form. 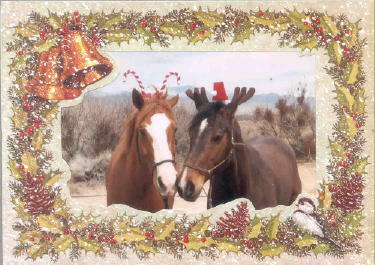 from our rescue case (right) and his barefoot companion, who appears to be thriving in his new digs in Nevada. He moved there with his owner after we helped rehab him (as you read in his case history in a previous thread). At the time he was reclaimed by his owner, it was questionable whether he would live; today – he is modelling a silly reindeer antler and Santa hat. Life is good! Best wishes to all in 2007.